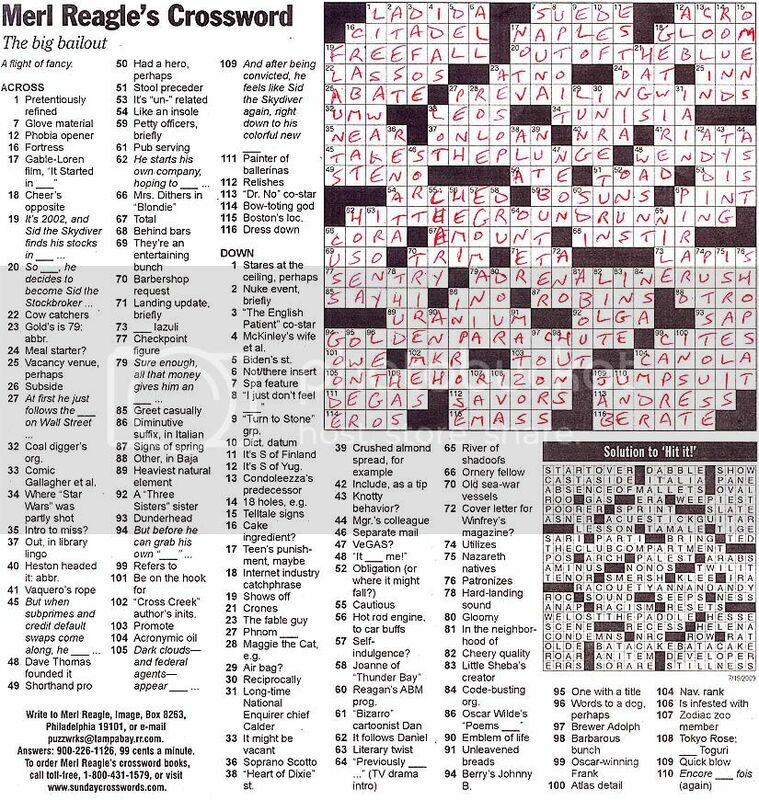 Completely off the topic of today's featured strip or the commentary, I just wondered if you noticed (or any of your readers, friends, family made you aware of) 61 down in yesterday's Merl Reagle crossword puzzle (the one that appeared in the Philadelphia Inquirer at least). My comment verification word is "fredness." That just strikes me as amusing. It sounds like it should be an actual word... He suffered from chronic fredness. It took me a surprising amount of time to find the second hidden object. That's what they say (whoever 'they' are). 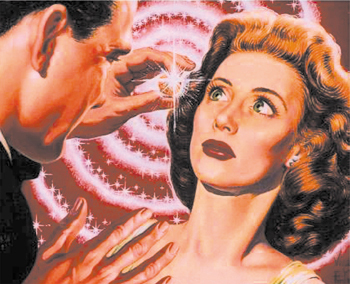 You can't make anyone do anything hypnotized they wouldn't do when not under hypnosis; commit murder, for example. There is also the 'shill' factor: Many magicians and hypnotists simply use plants in the audience, just in case there aren't enough 'live ones' to provide an entertaining show. That goof cackling like a chicken on stage may very well be the hypnotist's cousin. 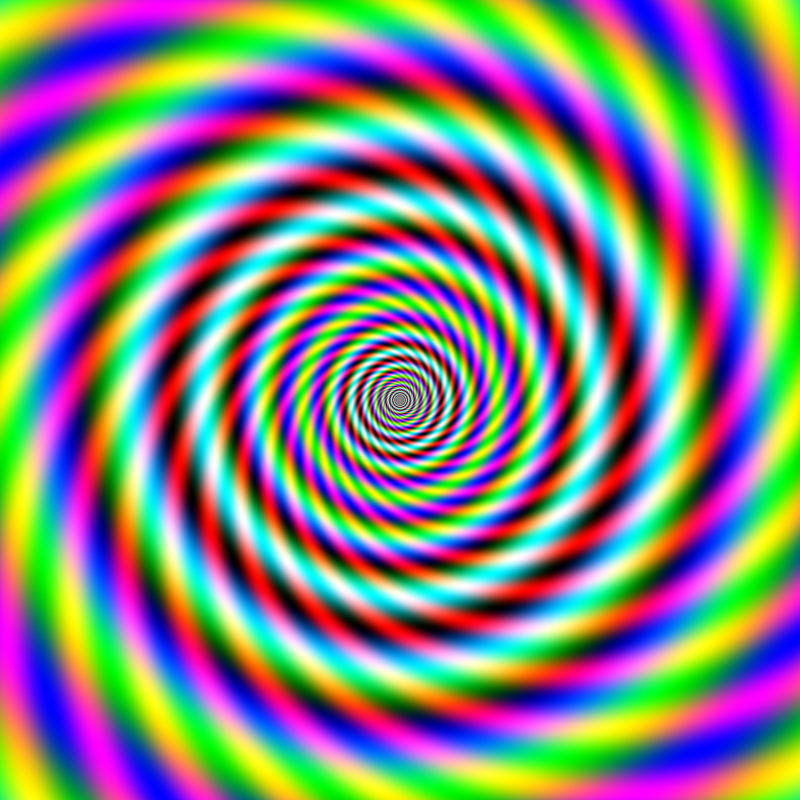 An amateur once tried to hypnotize me, but it didn't take. I was plenty relaxed, but not 'under.' The amateur said his teacher told him only one in ten were good candidates for hypnosis and two in ten were a waste of his time. I guess I was among that waste of time, ahem. As a child I volunteered for one of those shows. It didn't work on me. The hypnotist said, in an embarassed tone "It doesn't work very well on kids." Cartoon idea: Centaur, but with a skinny, nerdy pimply human half. The gym coach is saying: "We're going to need to work on your upper body." 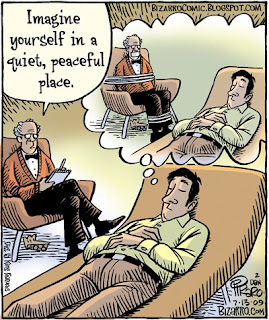 I have to say, hypno-therapy proved to be a most effective way to let go of many of the issues which plagued me for a long time. Of course, traitional therapy worked wonders, as well. 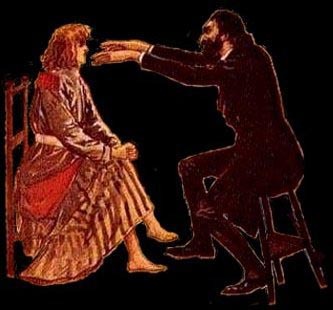 Hypnotism only works on people who think it will work, so those acts always distract the crowd while those it doesn't work on are led offstage. Also, it doesn't so much change what you'd do or believe so much as it inhibits your ability to judge, so you're more likely to go along with what you hear and less likely to remember it later. The stunts they do (like the head and legs on chairs and letting the middle stay without support, then having another person stand on the first person's middle) are all things the person could as easily have done without, though they would probably be more likely not to do it for fear or embarrassment or what have you. ...Aaaaand I'm almost sorry for going into all that. Almost. But I had to sit through it in class, and now it's stuck in my head. Especially the girl who couldn't stop laughing when he tried to hypnotize her, since she didn't believe in such things. I wonder how many on the hypnotist's stage do the same.